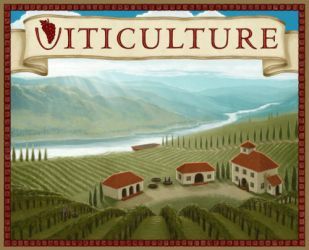 The Viticulture board game is the strategic game of wine making that we have helped fund via Kickstarter (more here). Become a wine maker in Tuscany with your own private vineyeard. Sounds good? Well it’s going to take hard work and determination as you start off with minimal resources, a few plots of land and 3 workers. Each player determines how they want to allocate their workers to different tasks though out the year. These are determined by the seasons, as the type of tasks undertaken in summer will differ to winter. Here’s where the competition kicks in as often the first worker to get to the job has an advantage over subsequent workers. However help is on had from visitors to the vineyards, they can assist as well, providing they are supervised by a worker. You will need to make effective use of them as their visits will be brief but throughout the year. This game is ideal for 2 to 6 players and can be played within 60 mins. It has similar gameplay elements to Euro games like Agricola and Stone Age. 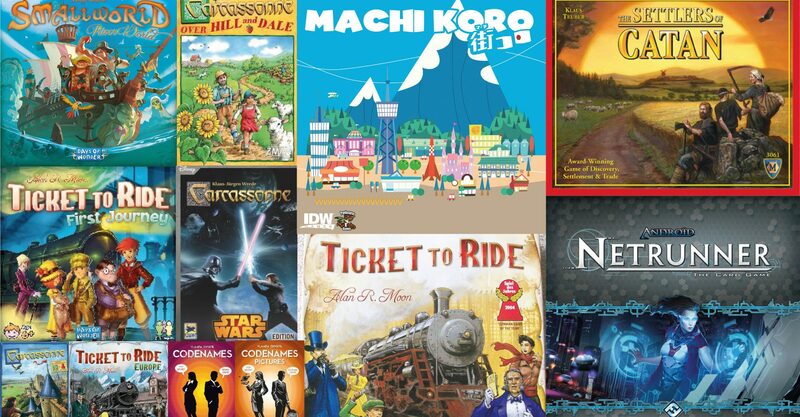 An expansion pack, Aboriculutre, is also included, which by the sounds of things doubles the complexity of the game and adds about 15 minutes to the overall playing time. 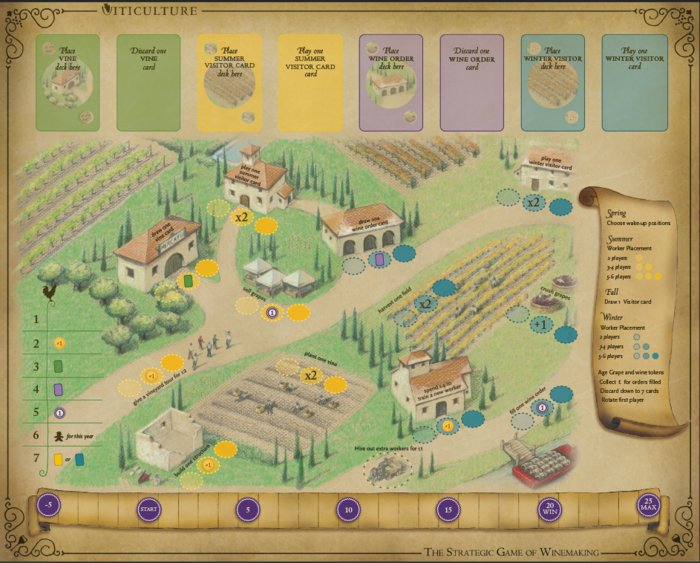 In the expansion you are able to grow other types of crops to grapes as well: olive oil, apples, and tomatoes. However this means more work for your workers, potentially lower morale. This can be boosted by new elements to the game that add value to the wine orders and help increase worker morale. All adding to the overall complexity in trying to win the game.